The seasons are changing, and so are the trends and colors in fashion and beauty. Thanks to Beauty Box Five, you can relax knowing you are keeping up with the absolute latest and greatest in cosmetics and beauty! Not familiar with Beauty Box Five? Then let me tell you all about it! As one of the top beauty subscription box services, Beauty Box Five will send you at least five travel, deluxe and full-size samples from some of today’s best beauty brands out there! We’re talking names like Everyday Minerals, Sally Hansen, Nicka K New York, Montagne-Jeunesse, Tree Hut and many more, delivered right to your home for only $12 a month plus free shipping! Keep reading to see what came in this month’s box; and if you want to see even more, check out August‘s Beauty Box Five review. 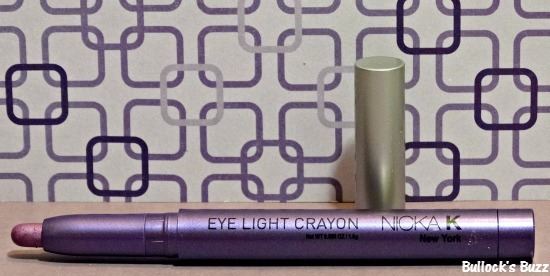 This unique eye shadow crayon by Nicka K New York makes applying eye shadow a cinch! 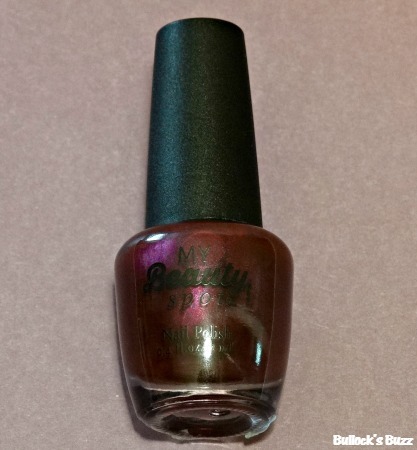 Nice and creamy, it glides on quickly and easily, leaving behind a bold pop of color. You can use it as a liner or shadow, and it is crease resistant and long-lasting! Available in 14 bold and beautiful colors. The perfect anti-frizz treatment for curly hair! 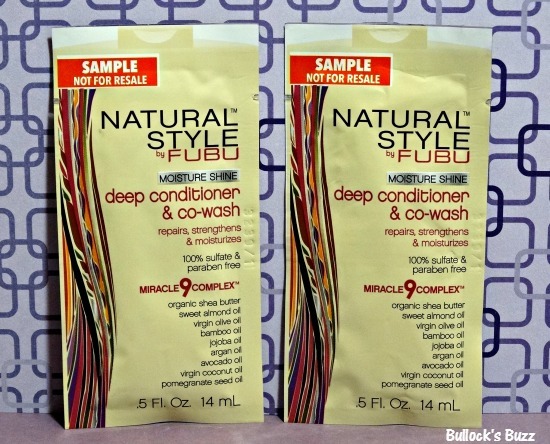 Equipped with 8 repairing oils and shea butter, FUBU Deep Conditioner and Co-Wash treatment strengthens hair to minimize frizz. I love that it is paraben and sulfate free! It can be used as a co-wash for curly-haired girls or as a deep conditioner for all hair types! Using toe separators makes doing the perfect, smudge-free pedicure so much easier! 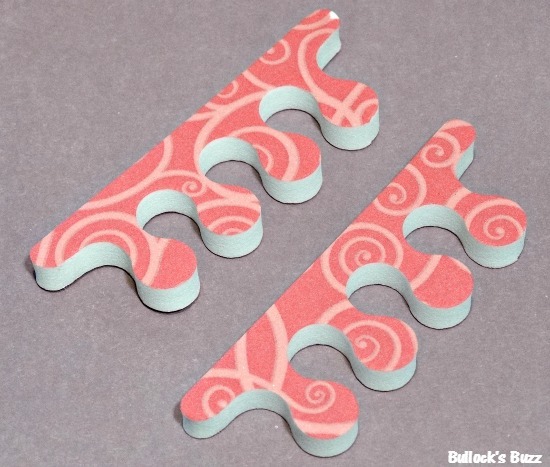 These adorably printed pink toe separators by Sally Hansen are large, cushy, comfortable and affordable! A new brand to me, I have fallen in love with My Beauty Spot’s bold and beautiful colors! The thick formula glides on easily and smoothly, and dries incredibly fast! Six colors come per set giving you plenty of options for the perfect mani and pedi! Another great month for Beauty Box Five! This month’s box featured several brands that were familiar favorites as well as a couple that were completely new to me. I love that three of them were full size samples, too! Give The Perfect Gift! 3 Months of Beauty Box Five for Only $30! Looking for the perfect gift to give any beauty lover? Gift the box! For only $30 you can give the gift of Beauty Box Five for a whole 3 months! Want to give more? Choose the 6 month option for $60 or an entire year for just $99! Who wouldn’t love this gift! Sign Up for Beauty Box Five Box! Simply visit the site and Sign up for Beauty Box 5! 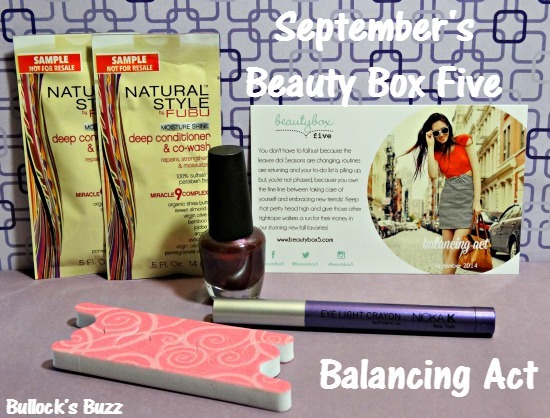 Be sure to check back next month to see what comes in September’s Beauty Box Five! And don’t forget to connect with Beauty Box Five on both Facebook and Twitter to keep up with all the latest in beauty tips, new products, promotions and more!